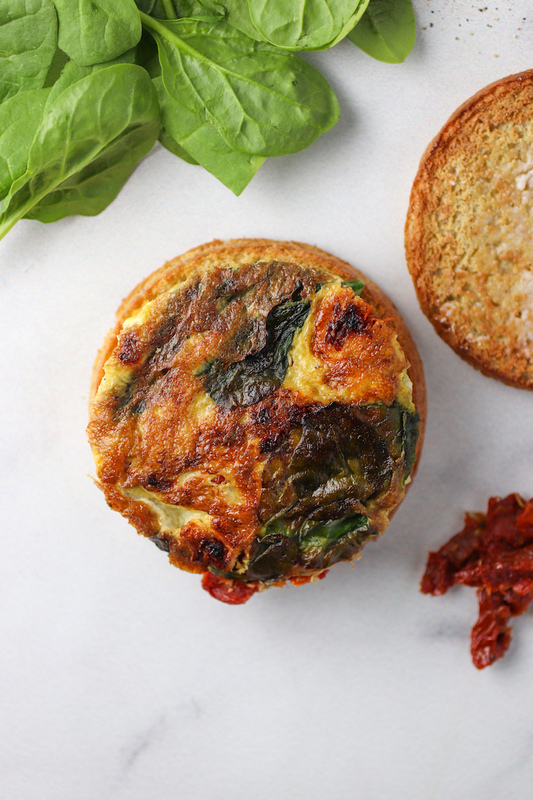 Fritattas are an easy way for me to cook once and eat multiple times! 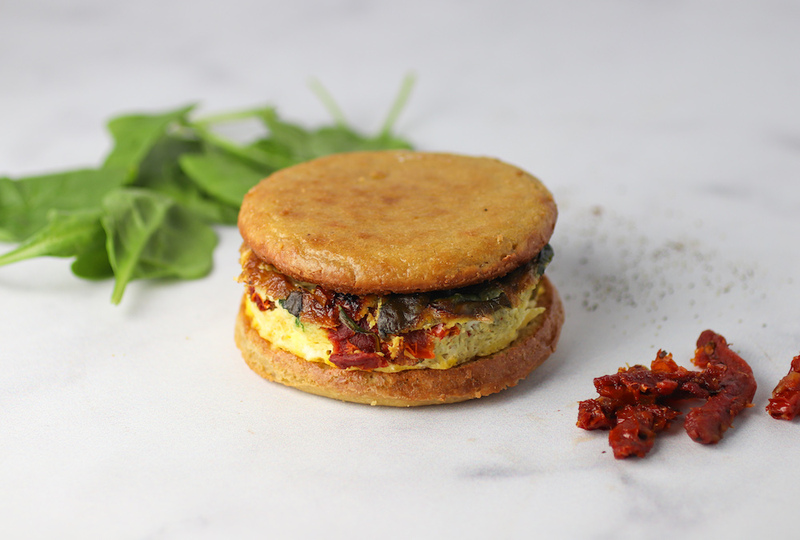 This Frittata Breakfast Sandwich recipe gets me about two to three meals which is nice. I also love that I can just throw veggies right in there so I don’t have to make any sides. The quicker the better when you have a four week old! Cook spinach in skillet until wilted. Add sundried tomatoes and heat until warm. Cook on medium heat until the edge of the frittata appears slightly cooked and the egg begins to pull away from the side of the skillet. Transfer the skillet to the oven (or, reduce heat to low and cover with a lid) and complete cook for 5-10mins. 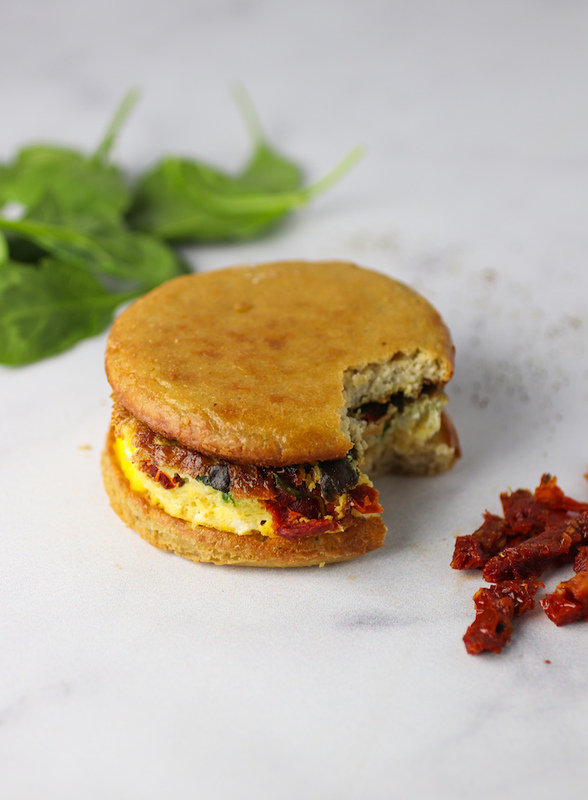 While the frittata is cooking, lightly toast your English muffins. Once the frittata has set and the egg has cooked, remove the skillet from the oven. Use a spatula to go around the edges and bottom of the skillet to loosen the frittata. Slide out of the pan onto a plate. 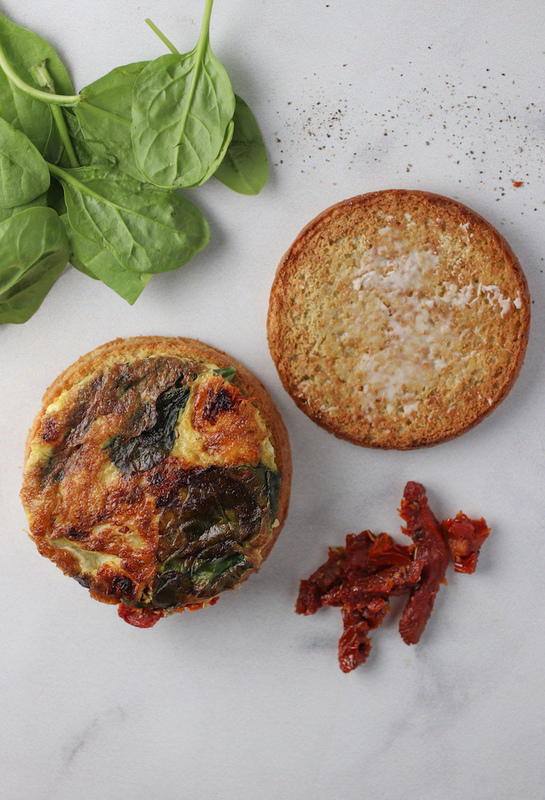 Use an upside down cup or the lid of a mason jar to cut the frittata into rounds.